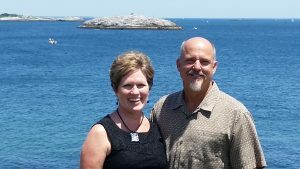 Walt and Susan are OCF Associate Field Staff reps for Fort Benning, Ga. Walt has an MDIV from Southwestern Baptist Theological Seminary and a ThM from Gordon-Connell Theological Seminary. Walt’s assignments were with various units including the Cavalry, Air Defense Artillery, USASMA, and MCOE. He served as lead pastor at Fort Bliss, Fort Benning, and Fort Leavenworth. Deployments include lsrael, Egypt, Saudi Arabia, and Kuwait. He served as the Ethics instructor for the Maneuver Center of Excellence at Fort Benning and the Garrison Chaplain at Fort Leavenworth. Susan is a professor of Collaborative Piano at the Schwob Conservatory of Music, Columbus State University, GA. Her degrees are in piano performance from Auburn University and the University of Texas at Austin. Having been a church pianist since she was 12, her roles in church and military chapels has have been quite varied, working with all ages and styles of worship. Her passion is for the people of God to participate in vibrant worship. The Hoskins have a daughter and son-in-law, Emily and Mike Dabeck, who are stationed at Fort Riley; a son, Graham, who will graduate in May from Georgia Tech; and a son, Steve, who will graduate from high school in May. Some of their favorite pastimes are camping and boating. The Hoskinses have been married 28 years. They also have two crazy puppies, a Schnoodle and a Cockapoo, Mason and Dixie.